- Featuring popular & famous Cat's Eye Black frame. - Double bridge adding a nice extra design element also reinforcing the frame. 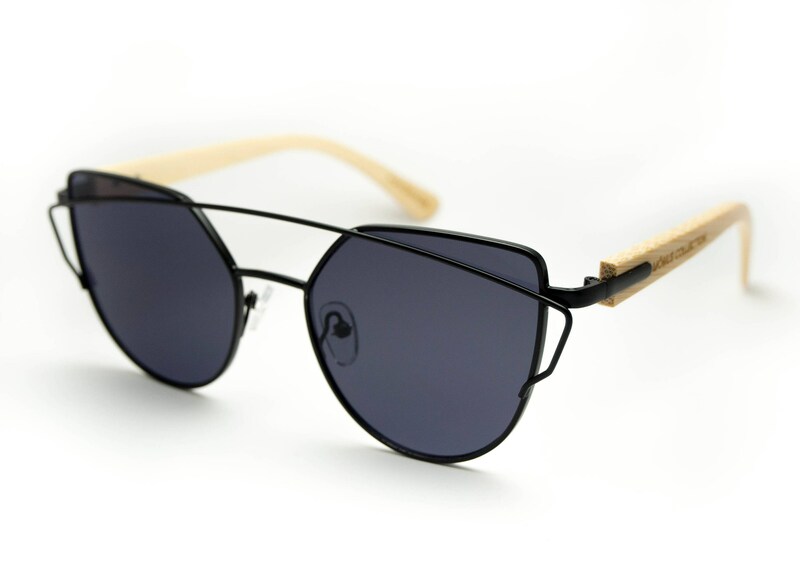 - Eco-friendly sunglasses temple made with natural bamboo wood. - UV400 lens provides 100% UV protection from harmful UV exposure as small as 400 nanometers. - Stunning Grey colour lens which is versatile and a good choice for all weather use. - Grey lens is effective at blocking glare while provides true color perception and reduces eye fatigue. - 100% unique. No two sunglasses are the same because of the unique bamboo wood grain on each sunglasses. Great seller to deal with.